We left the south of Argentina, and headed north. Of course we had to change planes in Buenos Aires, as almost all of the internal flights in Argentina go to or from Buenos Aires. WHY? Now there’s a question. Presumably they like Aeroparque Airport to be over-crowded. Anyway, I digress. I swear to you that’s what he was doing. 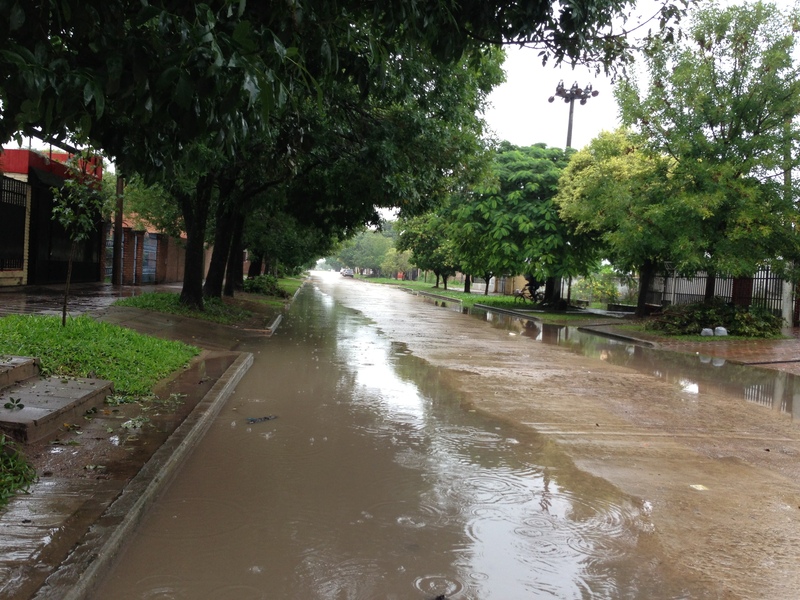 Anyway, on the day it stopped raining, we headed off to the ‘nearby’ city of Posadas. Which is *only* a 5 hour car journey away. 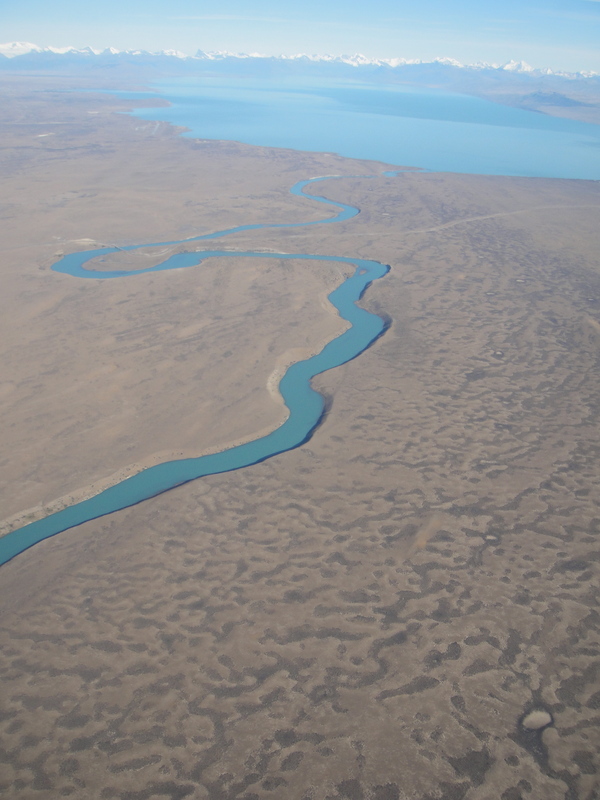 With the vast distances between places in Argentina, that’s considered practically adjoining. 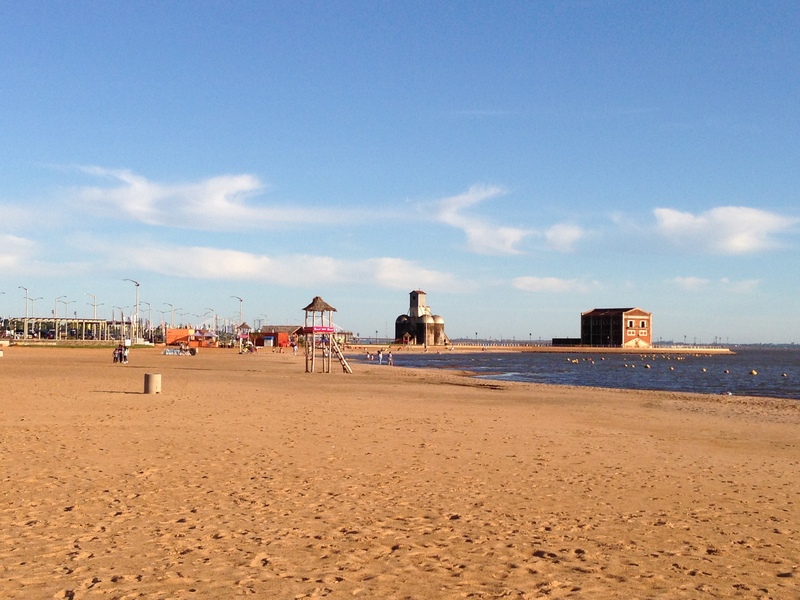 Once we were in Posadas, we were just across the river from Paraguay, which I’d never been to. Felipe didn’t want to go. 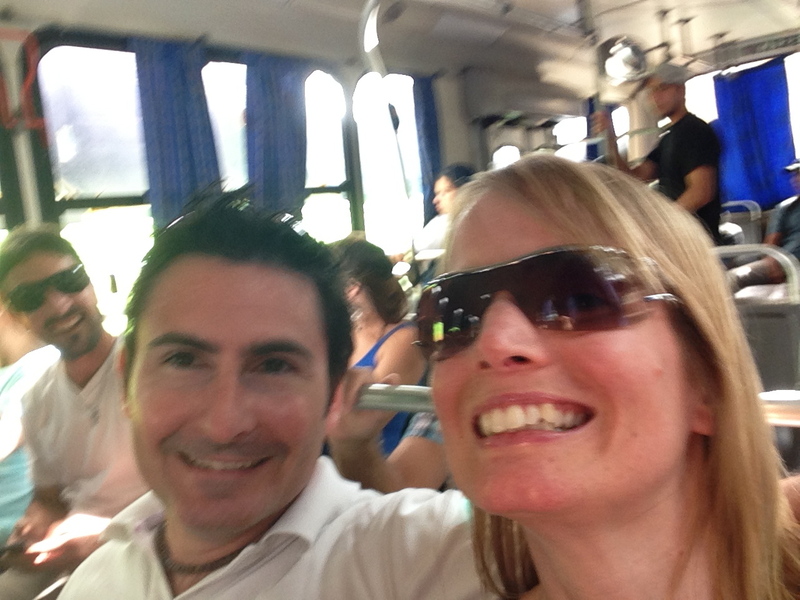 However, I’d been asking to go to Paraguay for about 3 years, so finally he relented and off we went! I was worried the bus would be over air-conditioned, so I made sure I wore jeans and brought a jumper with me. Given the state of the bus, I needn’t have worried, and instead just boiled in my thick clothes. You can see Felipe’s brother grinning in the background!! Buses don’t have to queue! 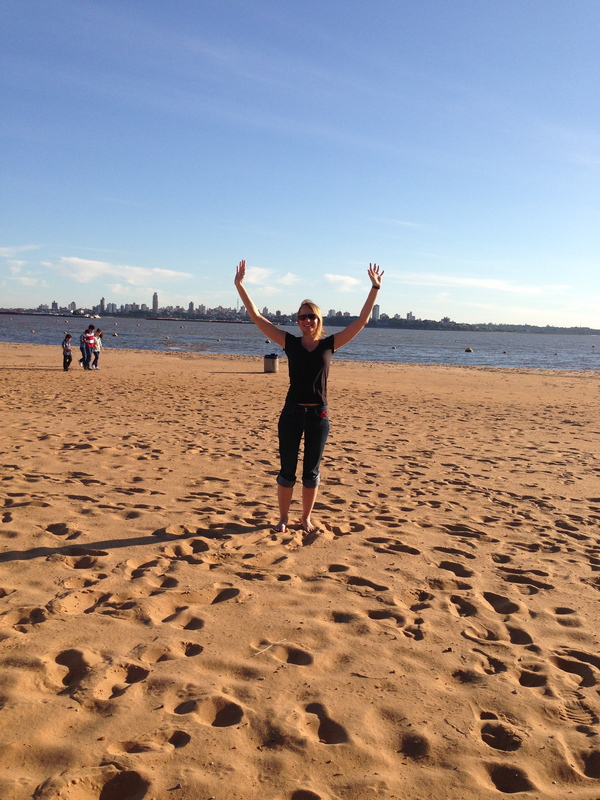 There’s me on the beach – that’s Posadas in Argentina in the background. Jeans rolled up as it’s still boiling hot! 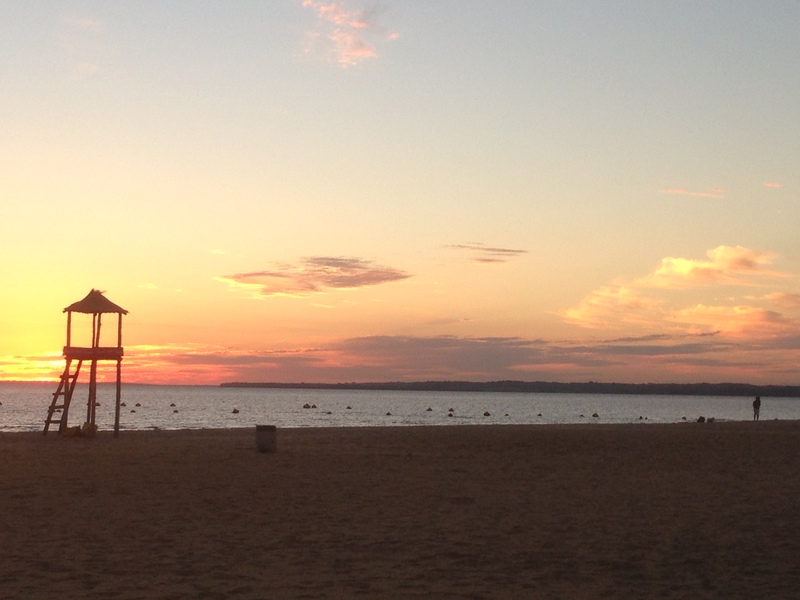 …then once the sun set …headed back to Posadas. This is where things started to go wrong. 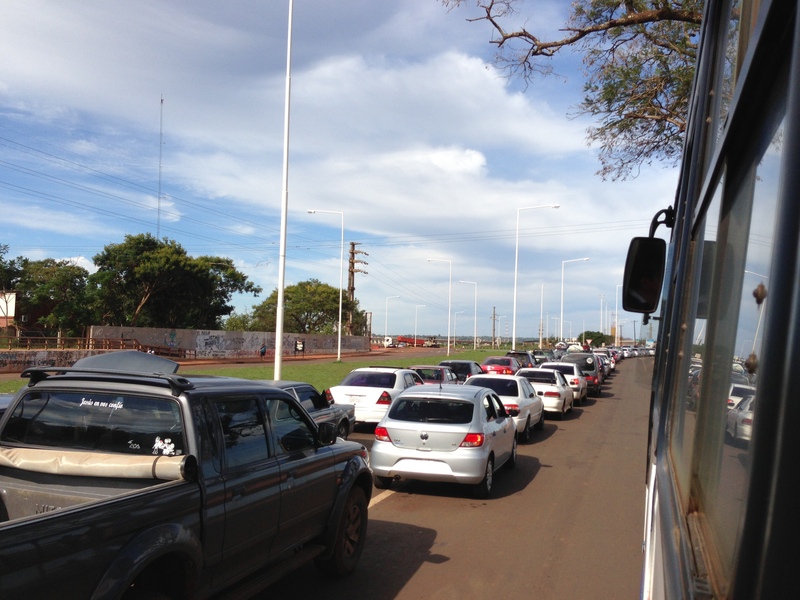 We had to go through passport control to leave Argentina and to go into Paraguay. However, the bus driver didn’t actually stop at the Paraguayan passport control on the way back, so technically I’m still there. He did stop at the Argentinian passport place though, so we all got off and they stamped our passports / documents. Our fellow bus companions were running into the building, which we thought was a bit odd, but we followed them and brought up the rear. When we got out of the building, it became evident why everyone else had been running: the bus had gone. 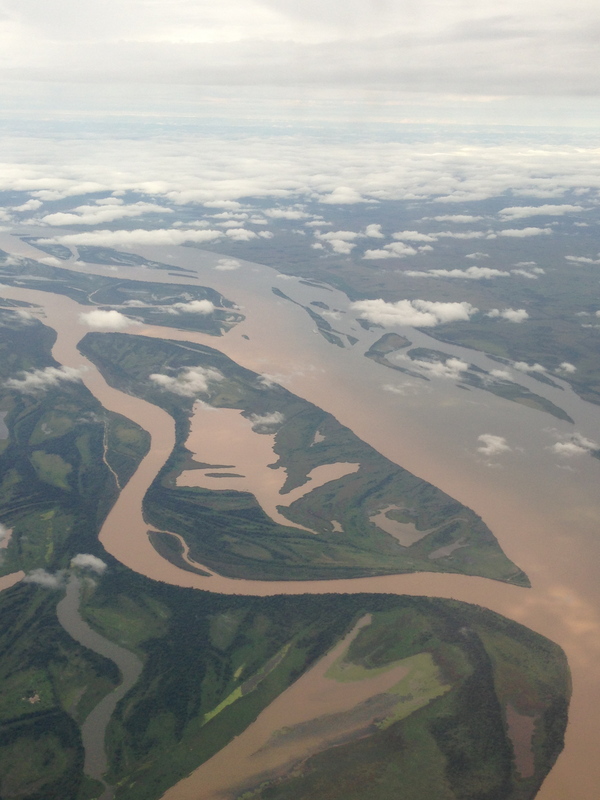 It had left, and we were stranded on the bridge between Argentina and Paraguay. There was only one thing for it, we had to walk. After about 10 minutes, my lovely husband trod on the back of my flip flop and broke it. Now I was walking with only one shoe. “Teach me a lesson”?! For what? For walking too slow? Getting my feet in the way?! 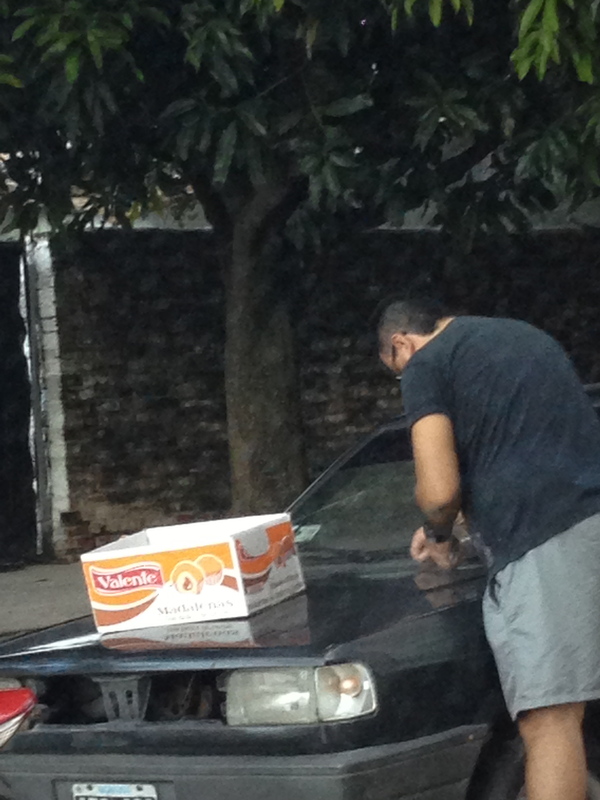 People in Posadas are cuckoo! That scared me into tying my shoe back together and hobbling back to the hotel. It took so long to walk, that we were late for dinner and were told off by Felipe’s dad. That bus driver has a lot to answer for! !